This hotel is 100pct non-smoking. Come visit the newly renovated Homewood Suites by Hilton Hartford/Windsor Locks hotel less than a quarter of a mile from Bradley International Airport. We are conveniently located within 15 miles of downtown Hartford Connecticut and Springfield Massachusetts. Our hotel has easy access to three interstate highways I-91 I-95 and I-84. 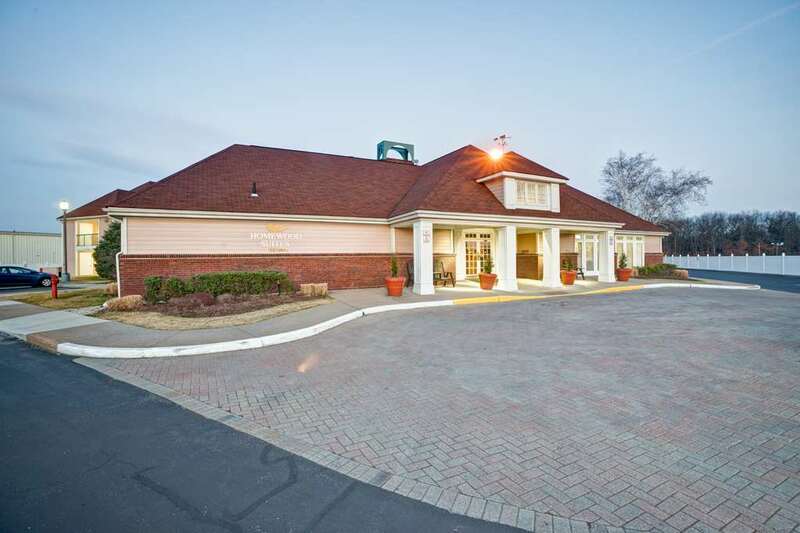 The Homewood Suites by Hilton hotel in Windsor Locks offers suites with king beds two double beds and suites with real wood-burning fireplaces as well as two-bedroom suites. Featuring exterior and interior entrances for your privacy and convenient close parking to your vehicle. All suites have a fully equipped kitchen free wireless Internet HBO cable and all suites have two separate rooms offering a pullout sofa sleeper in the living room area. Other amenities included during your stay are a Suite Start Hot Buffet Breakfast every morning Welcome Home Reception Monday - Thursday evening from 500 - 700 pm outdoor pool and whirlpool fitness center and a Business Center for your convenience. We also feature a coin-op laundry dry cleaning services and our Suite Shop offering last minute items for our guests. Our front desk attendants are happy to offer suggestions to area restaurants malls and attractions within the greater Hartford/Springfield area. We look forward to welcoming you to our hotel and making your stay enjoyable.